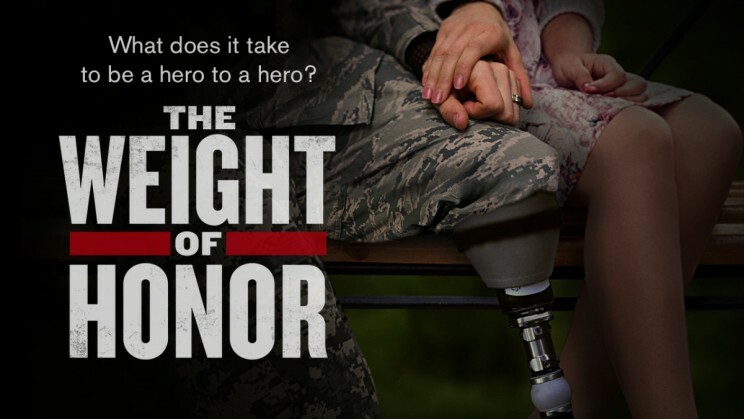 Los Angeles, California—May, 2016 – The never-before-told stories of catastrophically injured veterans and their Family Caregivers are the focus of the documentary film The Weight of Honor. In conjunction with Military Appreciation Month, Southern California-based Core Issue Productions announces the launch of their campaign to raise awareness and funding for the film. People interested in honoring military families are encouraged to join The Weight of Honor’s community via Indiegogo now through Friday, June 21. Of the 5.5 million family caregivers to wounded veterans, The War on Terror has created more than one million families caring for wounded veterans (Rand Report 2014). The impact of these wars in Afghanistan and Iraq will be with us for generations. The Weight of Honor chronicles stories of love, courage and resilience as it introduces audiences to the parents, siblings, spouses and children whose lives are forever changed by these conflicts. About Core Issue Productions: Core Issue Productions tells intriguing stories utilizing the highest standards of ethical and professional-level production services. We are writers, producers, researchers and cinematographers who present in-depth information accurately, with a focus on truth. We are committed to bringing new ideas to the mainstream.